Steve Jobs didn’t become successful overnight. 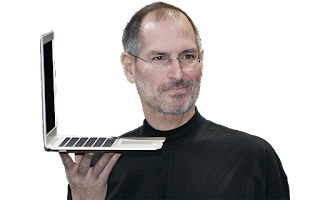 Steve Jobs was is one of the most respected entrepreneurs and inventors of his time. In 1976 he founded Apple together with his friend Steve Wozniak. They created their first computer, the Apple I, in the garage of Jobs’ parents. This was followed by the Apple II, which sold 2 million units worldwide quickly making Steve Jobs famous and wealthy. As Apple grew, Steve Jobs brought in John Sculley, a more experienced CEO, to run the company. In 1985, following a long power struggle with Sculley, Jobs was fired from his own company. During this time he started a new company called NeXT and another company called Pixar. Pixar went on to create the first computer-animated film, Toy Story. 12 years later, Apple bought NeXT and Jobs returned to Apple as the head of the company. Under his renewed leadership Apple would successfully develop and launch the iMac, the iPod, the iPhone and the iPad, launching the different products in a multi-year pace in his famous keynotes and making his company the highest valued company in the world. In 2003, Steve Jobs was diagnosed with a rare form of pancreatic cancer. He spent the following years fighting against the disease and undergoing several hospitalizations and work stoppages, appearing increasingly thin. During this time he still managed to personally introduce the iPhone and the iPad keynotes. 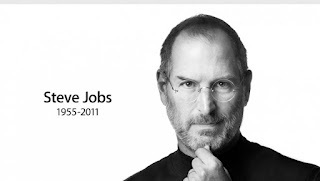 He died October 5, 2011 at his home in Palo Alto, at the age of fifty-six. His passion for making a “dent in the universe” and his drive for perfection in everything he touched revolutionized 6 industries; phones, music, animated movies, PCs, tablets and digital publishing. Here are some of Steve Jobs‘ best inspiring quotes that will encourage you to live the life of your dreams.